Sir – Thirty of Australia’s most respected scientists and energy experts have signed an open letter, published by the Australia Institute today, calling on the Northern Territory and Federal Governments not to allow fracking in the Territory to proceed under any circumstances. The Fracking Inquiry found that a single gas field would increase Australia’s emissions by 5%. The scientists note that this “completely incompatible with Australia’s carbon budget and our commitments under the Paris agreement”. The scientists, including several of Australia’s most respected climate scientists, note that the Northern Territory is in a region likely to experience the most severe impacts of global warming. This includes a dramatic increase in extremely hot days, with days over 35 degrees Celsius in Darwin projected to increase from 11 per year now to up to 308 by 2070. The Fracking Inquiry also found a scenario submitted by the NT Government would have emissions equivalent to 18% of Australia’s emissions every year. Australia Institute analysis found that if all NT shale gas was exploited, it could be the equivalent of up to 60 times Australia’s current annual emissions or building 130 coal power plants and operating them for 40 years. “This gas development is incompatible with Australia’s obligations as a signatory to the Paris climate agreement. It should not go ahead under any circumstances,” says ANU climate scientist and signatory to the open letter, Will Steffen. “Climate change already poses serious risks for the Northern Territory, and these will escalate unless greenhouse gas emissions are rapidly reduced. Extremely hot days – those over 35°C – are expected to increase dramatically. “Combined with high humidity, such extreme heat will make just being outside not only uncomfortable, but dangerous to health, for a large proportion of the year in many areas, including Darwin. “Most fossil fuel reserves simply cannot be burned if we want places like the Northern Territory to remain habitable. Opening up vast new fossil fuel developments is dangerous, irresponsible and unnecessary. “It would be a tragic irony to have massive amounts of gas from the NT fueling heatwaves destroying everything we love about the NT to the point of making it virtually uninhabitable,” says Mark Ogge, principal advisor at The Australia Institute. “A single shale gas field would triple the Northern Territories emissions. Territorians working hard to reduce their emissions would wonder why they are bothering. The Australia Institute, Canberra, public policy think tank established in 1994. Developing gas fields in the Territory could play a significant role in reducing our carbon footprint. Natural gas has a critical role in enabling the greater integration of renewables into our energy mix. With the majority of Australia’s electricity coming from coal, greater use of gas-fired power can contribute to a reduction in near-term emissions. Experience in countries such as the US shows that the most significant opportunity available today to curb emissions is replacing coal-fired power with gas-fired generation. It is a shift which can cut emissions by 50% or more, without jeopardising energy security. The reality is we cannot move to total reliance on renewable any time soon, and there’s an ongoing need for gas. It is also important to remember that only around 40% of the gas used in Australia goes to power generation. The rest is used for cooking, heating and to sustain our manufacturing industries. We need practical solutions, not ideological solutions. The use of renewable energy is increasing, but the reality is we will use very substantial amounts of gas for decades to come, and so it is reckless to turn our back on new supplies – especially when the Territory could gain significant economic and social benefits developing its resources. 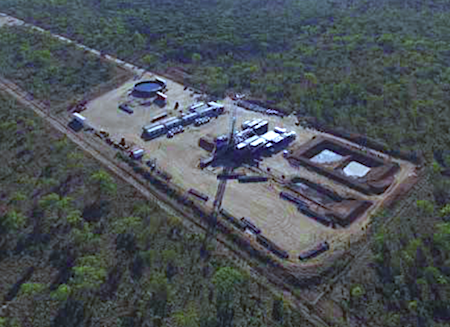 It is also notable that the open letter is wrong in claiming the NT Government submitted a scenario of shale gas production in the NT resulting in lifecycle emissions equal to 18% of Australia’s current greenhouse gas emissions. As per Table 9.4 of the Inquiry Draft Final Report, the panel has calculated that this scenario (3,400 TJ/d) would be 6.6% proportion of Australia’s emissions for 2015. No one is arguing that the power supply issues and circumstances in NT and Victoria on the south east coast are the same. Solar is an obvious viable alternative in the NT. Far denser population in eastern states and different latitudes make gas and coal supply much more vital to those states. Moratoriums and endangered species are the automatic and simplistic catchcry of the Greens. Hazelwood and the leadbeater possum are an example in Victoria. You may be right in Alice. However, try selling your NT position to desperately poor households here South of the Border. I do not say it lightly when I say that the cashed-up inner city soy latte sippers are driving the Green push here ignoring the suburban Struggletowners and cash-strapped farming and dairy communities etc in the bush. As a former Alician who loves the people of the Centre, I trust you can see the difference. I envy Alicians who at least have had an opportunity to participate in an inquiry about land gas supplies that are going to be developed, fracking or no fracking. Ah, the promised Utopia of the Inner City soy latte sipping Green! Coming soon to a Town Like Alice. Experts warning of dire consequences and increased emissions if we frack, and other experts saying by fracking we will reduce emissions and be better off. I understand each side has their own barrow to push in all this, but how does the average person in the street understand which side is correct when we see “experts” disagreeing with each other and counterclaiming? I like the “provided” which implies problems if engineering is not perfect and well installed (depending on the workforce) and “proper regulations” which we all know if not applied, will be discovered when accidents strike! By then it will be too late. These scientists may be pre-eminent in their respective fields, but have no credibility nor qualifications to comment on oil and gas and fracking. More than one million wells fracked overseas and more than 700 wells fracked in Australia with no detrimental environmental effect. Besides, a number of enquiries in Australia and overseas have supported fracking provided that wells are properly engineered under proper regulations.